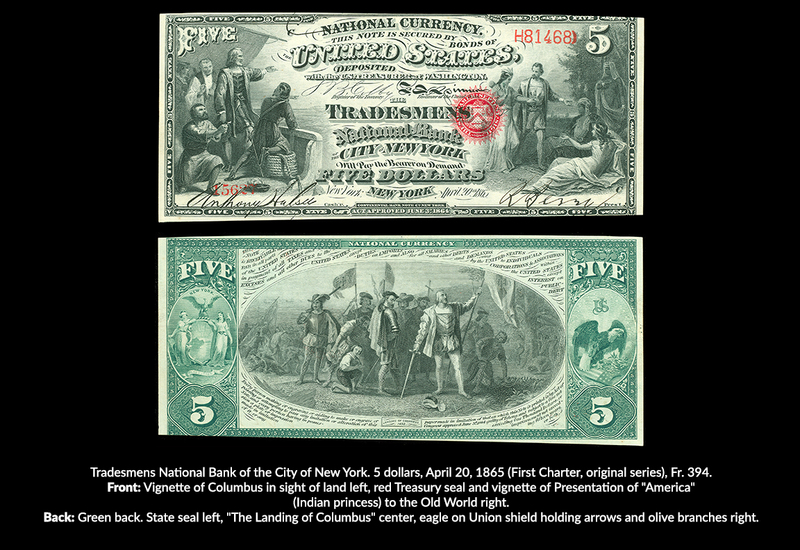 Even before the Civil War, our nation's currency system was in serious disarray. The problem came to a head when the war began, and the government had to find a way to pay for the conflict. President Lincoln's Secretary of the Treasury, Salmon P. Chase, was given the job of setting things right -- and it was no easy task. On February 25, 1863, President Lincoln signed the first National Bank Act. 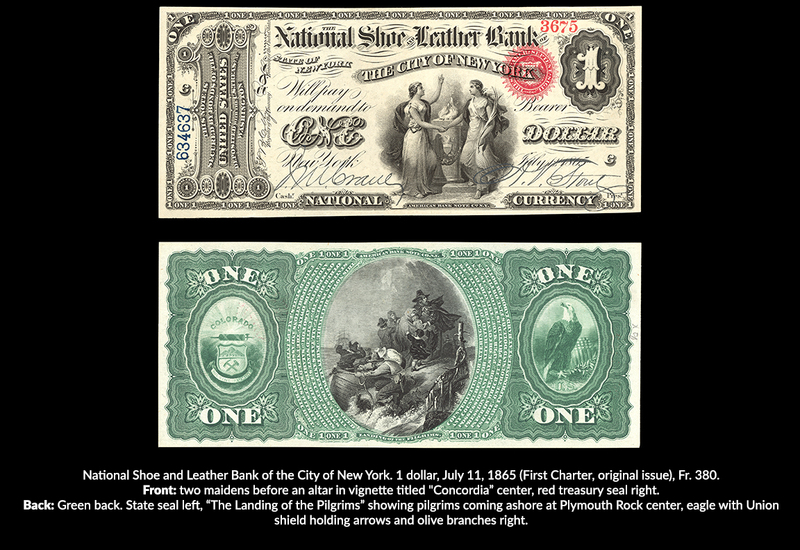 The Act encouraged all state banks that issued their own paper money to join the national banking system, but not many did until three years later, when Congress imposed a 10-percent tax on all state bank notes. Those state banks that did join received a charter number. 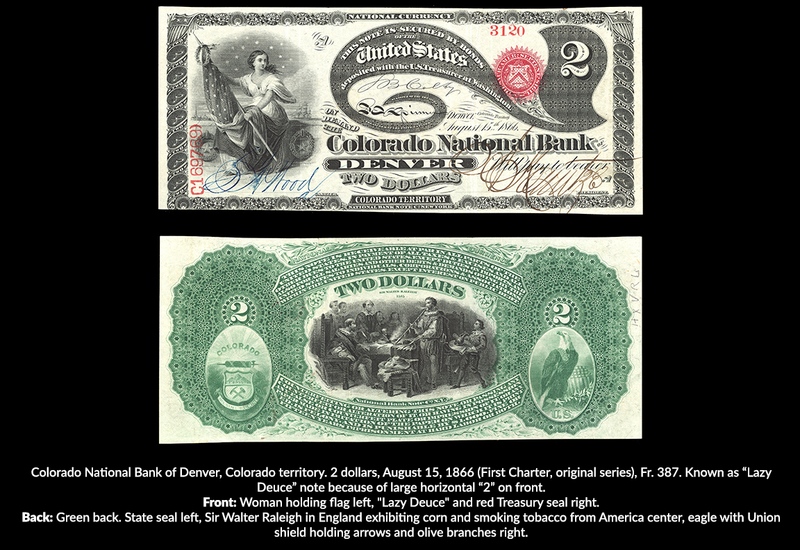 The charter number and the bank's name were printed on the new National Bank notes with standardized designs that each bank was authorized to issue. 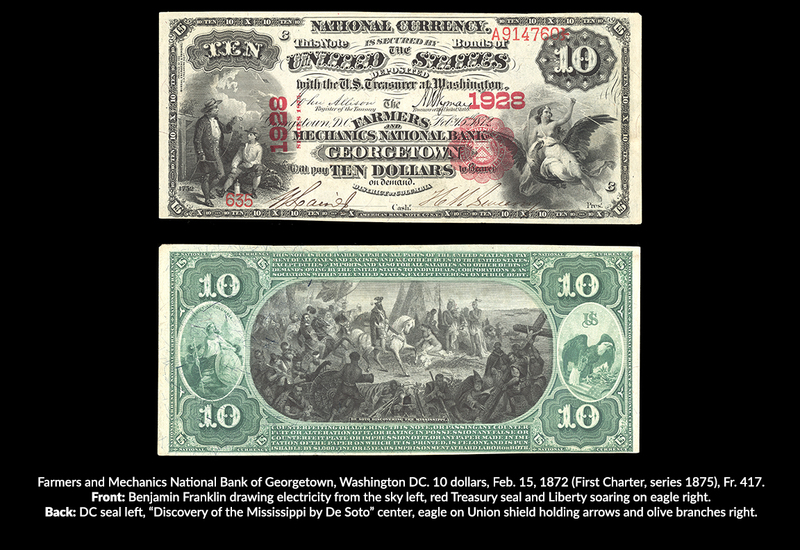 The backs of the First Charter notes featured an engraving of one of the large paintings found in the U.S. Capitol rotunda. 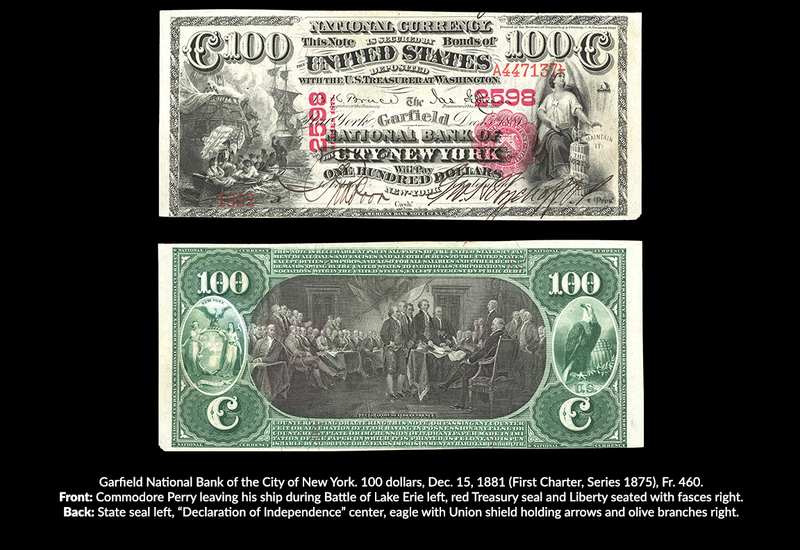 Large-sized National Bank notes were issued in three charter periods: First Charter (1863-1882, notes issued 1863-1902), Second Charter (1882-1902, notes issued 1882-1922), and Third Charter (1902-1922, notes issued 1902-1929; small-sized National Bank notes were introduced in 1929). A charter was valid for 20 years from the date of a national bank’s organization, not the start of the charter period. The specific date featured on a note indicated when a bank’s charter was granted, and designs remained the same until the bank’s next charter was issued. The notes became a monetary fixture, regardless of the bank of issue, since government bonds backed them. The national banking era ended in 1935, when the Federal Reserve became the sole issuer of our money. 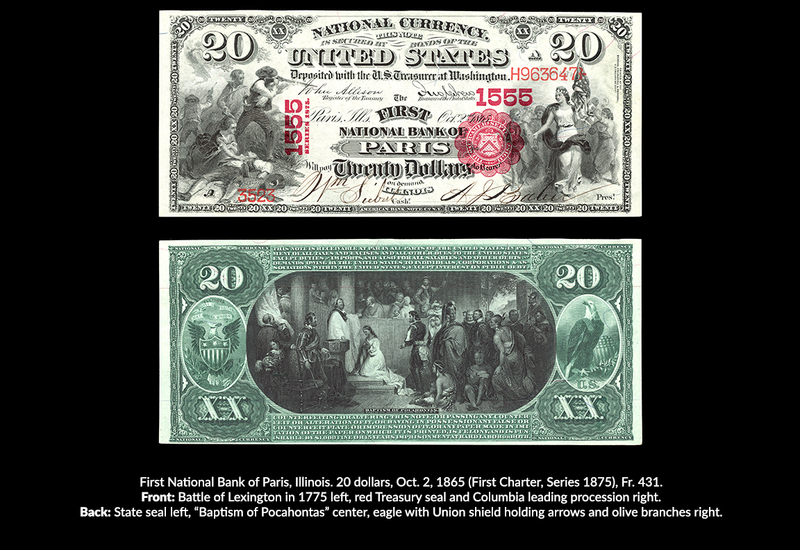 Surviving National Bank notes are cherished collectibles. Notes issued by banks in large cities are relatively common, but since many banks in small communities issued a minimal amount, some of these notes are extremely rare and valuable. In addition to hometown banks, collectors are interested in banks with colorful names like the National Banks of Tombstone, Arizona ... Painted Post, New York ... Sleepy Eye, Minnesota ... and Weeping Water, Nebraska. 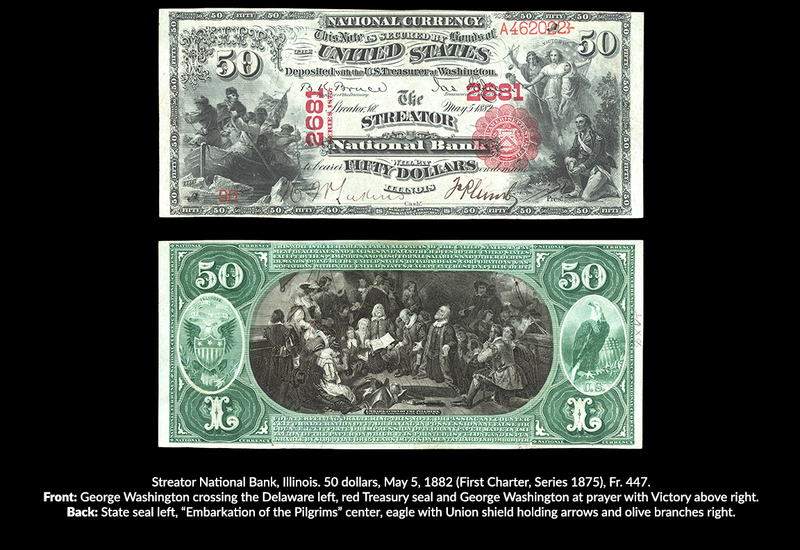 View National Bank notes from the First Charter in the ANA’s collection by using the gallery below. I've been getting into paper currency lately. Those are some beauties. Thanks for the info and great photos. I'm so happy to see Tales From the Vault is back!!!! Ben you are the man!! Those are so beautiful! I'm just getting interesting in collecting old American currency, so I really enjoyed your blog and great photo's! Thanks!